The administration of a local teachers training college has decided to focus more on offering courses in science, technology, engineering, and mathematics (STEM). This augurs well for the Ministry’s efforts on strengthening and advancing the teaching and learning of mathematics. The move will go a far way to advance the Ministry’s thrust to have schools, particularly at the secondary level, focus on offering more technically and vocationally-oriented subjects. Education Minister, Hon. Rev. 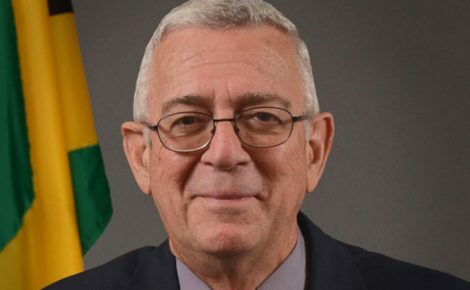 Ronald Thwaites, has announced that the administration of one local teachers training college has decided to restructure the institution’s programmes to focus more on offering courses in science, technology, engineering, and mathematics (STEM). While not identifying the college, Rev. Thwaites welcomes the decision, taken recently and communicated to him, noting that it augurs well for the Ministry’s efforts on strengthening and advancing the teaching and learning of mathematics, which, he laments, is, to a significant extent, below par. Additionally, he said that the move will go a far way to advance the Ministry’s thrust to have schools, particularly at the secondary level, focus on offering more technically and vocationally-oriented subjects in their curricula. 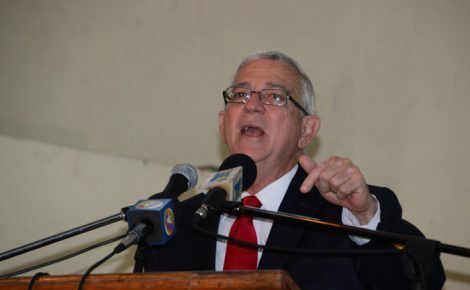 New Kingston, stressed the need for more teachers’ colleges to follow the example of the institution, and “excel in mathematics”, among other sciences, and technically and vocationally-oriented programmes and subjects. He said information which the Ministry has received suggests that a “fair proportion” of mathematics teachers currently attached to schools “never passed the subject (at the external examination level)”, do not fully understand the subject and are, therefore, unable to effectively impart the subject’s content to their students. “If it is so, must we not squarely face the dilemma…to try to re-train those teachers; and to do so in a way that they come to love the subject and to be able to impart what it requires,” the Minister said. “I assure you that the graduates from that college are going to be easily employed…certainly in the school system and, no doubt, elsewhere,” he stated. The Minister pointed out that while there is a need for teachers of English in countries such as China, Japan, Brazil, and France, those countries are also querying the availability of competent mathematics teachers from Jamaica. “Those who come about investing in many of the high technical areas, high technology areas of the country, they no longer ask about their rates of return; they no longer ask about whether they are going to be safe enough in Jamaica. They ask whether we have the skilled workforce to render their investments durable and sustainable. The stakes are very high and the zeal to acquire competencies in STEM will require a step up of numeracy at all levels,” he added. Meanwhile, Rev. 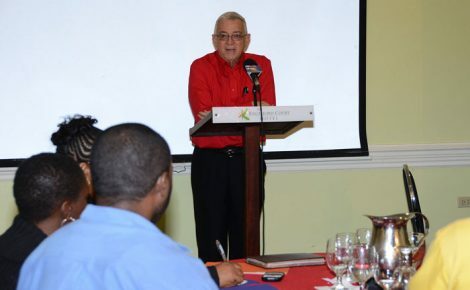 Thwaites said beginning the 2015/16 academic year, the ministry will be moving to ensure that every student leaving secondary school takes a test in mathematics. “It may not be Caribbean Secondary Education Certificate (CSEC) for everybody, but they must take an examination. No more of this floating around and deciding ‘I don’t necessarily have to do it’. No more (of) this one-third of the cohort sitting a terminal examination. This is really about our children’s future, our nation’s future, so that they can capitalize on the opportunities for employment and higher education anywhere in the world,” the Minister underscored. The two-day retreat, which was attended by mathematics specialists attached to the Ministry’s six regions, entailed discussions and deliberations on a range of topics. These included: problem solving approaches to teaching mathematics; working with principals and teachers; evaluation of strengths and weaknesses; reviewing the strategic plan, and challenges to its implementation.